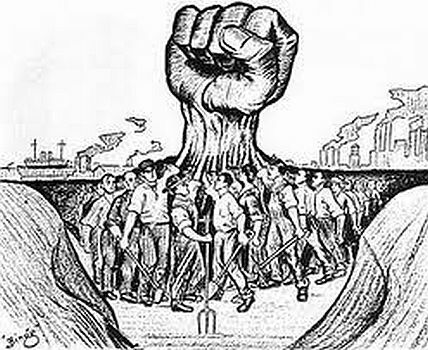 Many working class people do not believe that their class has the potential to change the world. Indeed many of us do not even recognise the idea of class, let alone see themselves as part of the class of “women and men of no property”. This is not surprising. The ruling capitalist class have powerful tools to confuse and distract the working class. A whole web of deceit is woven to disguise and justify the power of a tiny minority. This is what Marxists call ideology. The political set-up, built on the myth of ‘democracy’ and supposedly offering choices, is key. In reality the bogus options are all about maintaining power, ownership and control for the class of parasitic bosses.